We are a Christian church that desires to both glorify and enjoy God through real and lasting relationship with Him. We have local churches in Australia, Vanuatu and Fiji, and are committed to ‘Preaching the Lord Jesus Christ from the Scriptures and salvation by grace’. Our churches are made up of people from diverse backgrounds, age groups, nationalities, professions and even religious upbringings. You certainly don’t have to have grown up a ‘Presbyterian’ to feel at home here. If you are someone wanting to find out about Christianity for the very first time, or a Christian looking for a spiritual home where you can grow and serve, you are very welcome to visit, call or email one of our local churches. We love and want to obey the majestic God revealed in the Bible: God the Father, Son and Holy Spirit. As God is the centre and ultimate purpose of all things, we also strive to make worshipping Him and sharing His glory the dominant feature of our church life. Together with love for others, sharing God’s glory and the wonder of His grace is our primary motive for active local outreach and overseas missions. We take the Bible very seriously because it is God-breathed, objective truth that applies in all generations. As the inspired word of God, we receive the Old and New Testaments as being all-sufficient and without error. The Bible is our final and only authority for faith and life as individuals, families and churches. 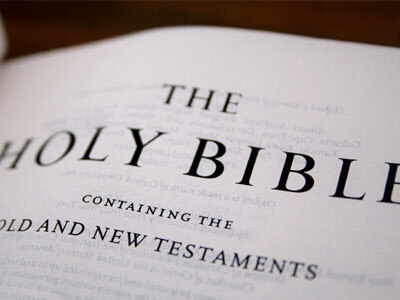 Historically, this has been referred to as ‘Sola Scriptura’ – the Scriptures Alone. We proclaim the wonderful news that this majestic God has stooped down to intervene in the lives of people like us: sinners who were determined to rebel against Him. Together, we rejoice in the Lord Jesus Christ as the eternal Son of God, the only Redeemer of sinners and our most enduring Friend. Historically, this has been referred to as ‘Solus Christus’ – Christ Alone. We testify to our communities that God is justly displeased with our sin (the failure to love and obey Him) and that we can only be rescued from judgment by His unmerited favour. Together, we stand amazed – even despite our rebellion against Him – that God graciously sent His Son to fully love and obey as a real Man and then bear the penalty of eternal death for sin. He freely did both of these so that the sins of His people could be completely forgiven. Historically, this has been known as ‘Sola Gratia’ – Grace Alone. We rejoice that salvation is found in Christ alone, offered by God’s grace alone and received through faith alone. Together, we preach the Bible’s message that the chasm between us and the eternal God is infinitely wide; no sinful human (not even the most ‘religious’) can be made right with God by their attempts to do good works. This is why we also preach the Bible’s amazing news that the righteousness that belongs to Jesus Christ may be transferred to rebellious sinners, and their guilt and debt transferred to Christ, not by good works but by depending in faith entirely upon the Lord Jesus (and nothing or no one else). Historically, this has been known as ‘Sola Fide’ – Faith Alone. We seek to direct all praise and glory in the church to God alone because He is both the Creator of all life and the Redeemer of His people. Together we strive for approaches to ministry that place the focus solely on the glorious, eternal God rather than on people and their gifts. While we endeavour for our churches and outreach to be accessible to the culture(s) in which we live, our ultimate goal is to be God-centred and not man-centred. Historically, this has been known as ‘Soli Deo Gloria’ — To the Glory of God Alone. The above is just a short summary of some key points we believe and share in common with millions of Christians around the world. A complete summary of what we believe the Bible teaches may be found in the Westminster Confession of Faith (with minor amendments by the PRC). The Presbyterian Reformed Church was formed in 1967 in Sutherland, Sydney. Since then a number of churches have been planted in Australia and the South Pacific. While we are distinct from the Presbyterian Church of Australia, we are thankful for the many relationships between people in our fellowships.